Many people felt it was wrong to celebrate at the end of the war because so many had died. 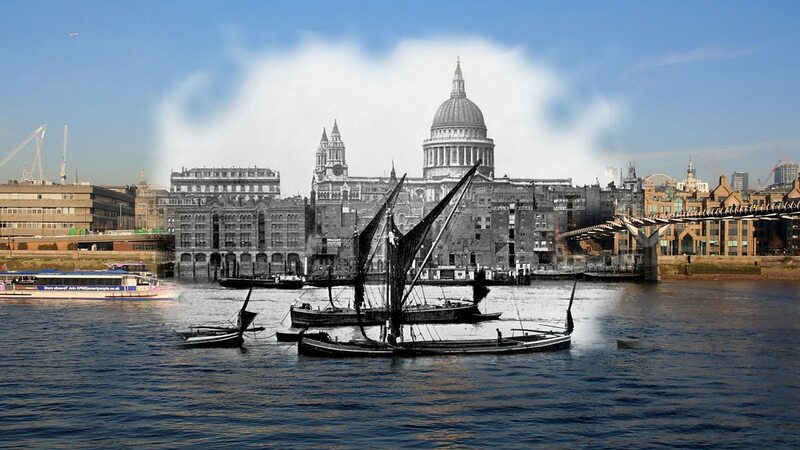 When the church bells struck 11 o’clock on 11 November 1919, one year after the war, people all over the country bowed their heads. Buses and trains stopped moving. The electricity was cut off to stop trams from running. 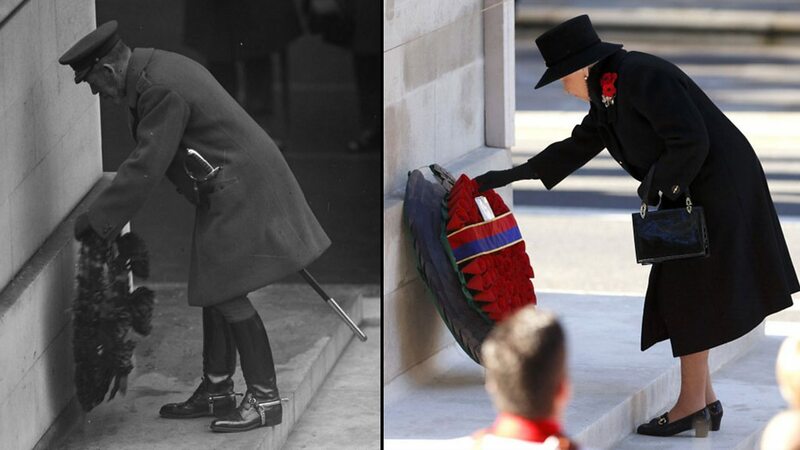 Ever since the first Remembrance Day, people have followed the same tradition. Every year on 11 November they stop for a short moment of reflection. 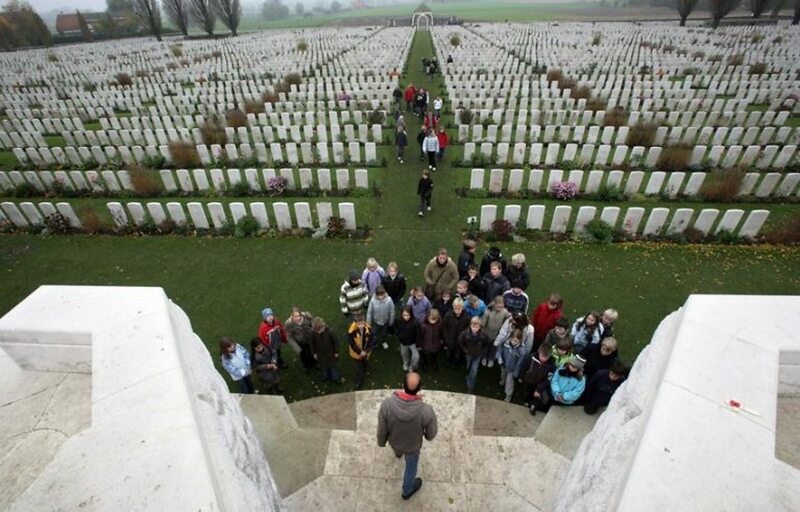 School children visiting Tyne Cot near Ypres, Belgium. The largest Commonwealth war grave cemetery in the world. What do people use to remember the war? 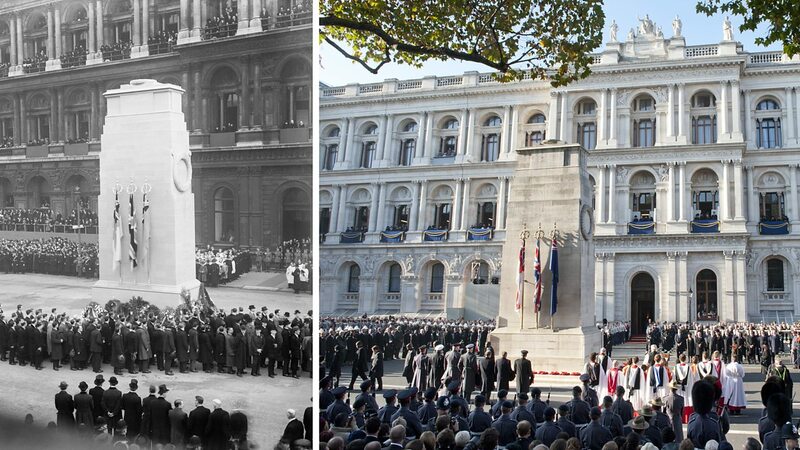 When the Cenotaph in London was built in 1920, people laid flowers there in memory of loved ones. The tradition continues to this day. 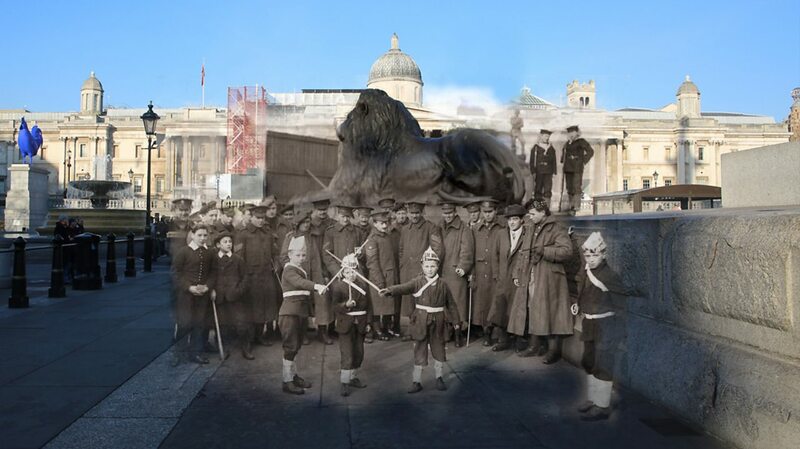 Since 1920 many have visited the tomb of the Unknown Warrior, inside Westminster Abbey. This tomb reminds people of all the soldiers that died fighting whose identities remain unknown. Many British soldiers were buried near the battlefields where they died. 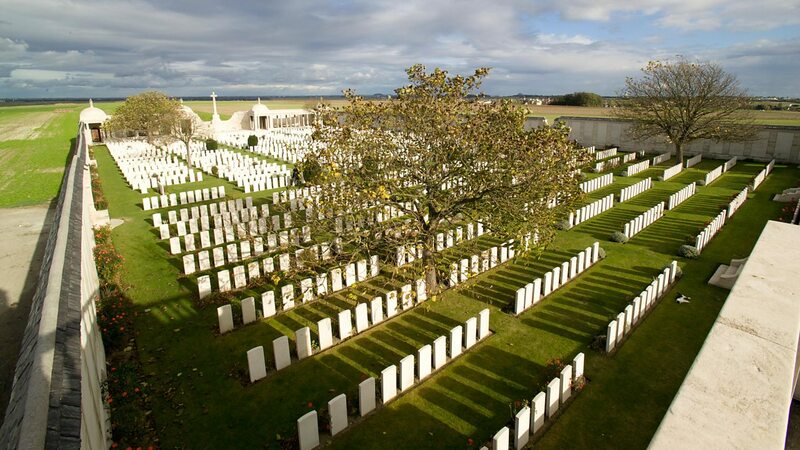 Bois-Carre British Cemetery in France contains 174 known graves and 53 unknown. Poppies grew on the barren fields of World War One and are used to remember soldiers who died in battle. Paper poppies are still sold today for charity. Large crowds gather to remember the war together. 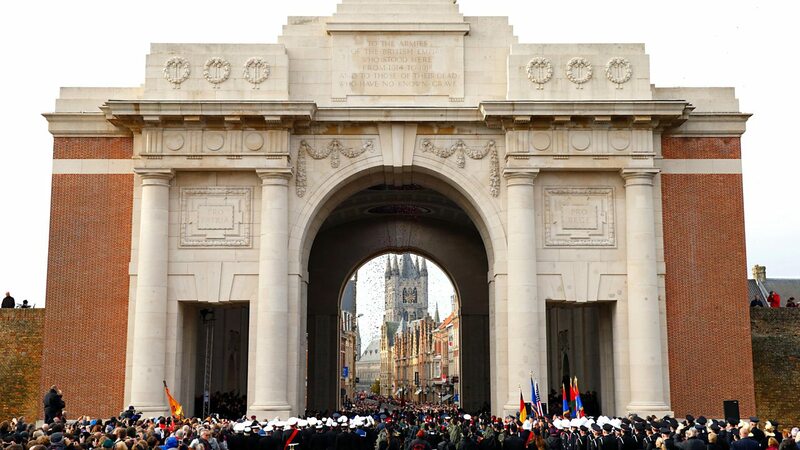 Poppies were dropped from the roof of the Menin Gate on Armistice Day, 11 November 2013 in Ypres, Belgium. 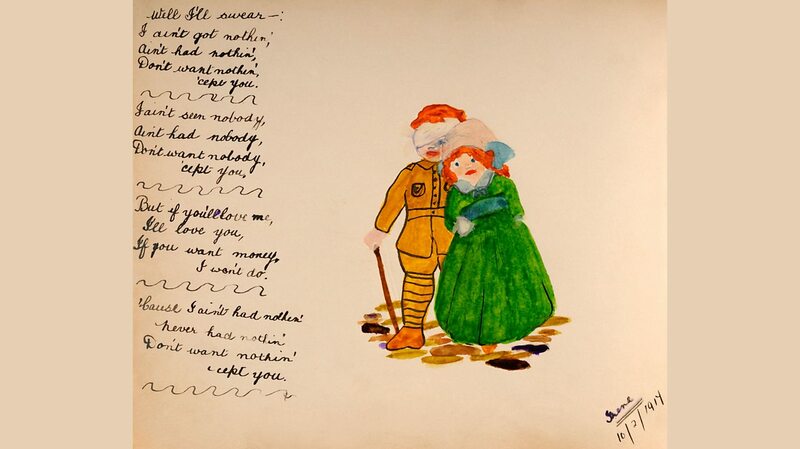 This picture shows a wounded soldier's hand-written poem and a watercolour drawing of him with his sweetheart. 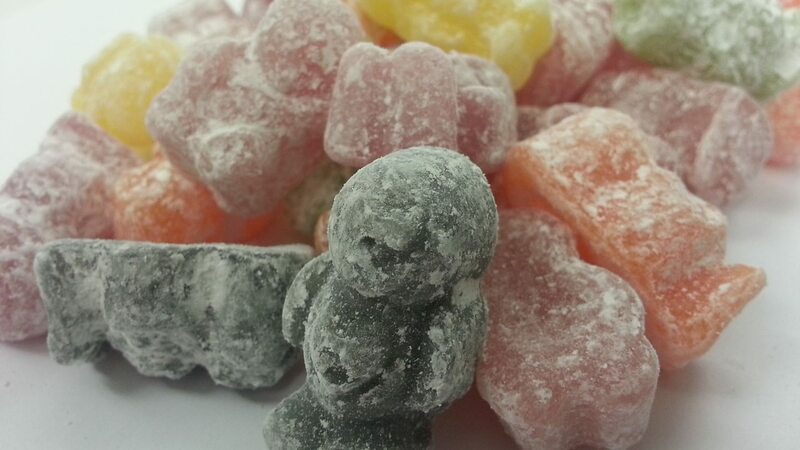 Jelly Babies were introduced in 1918 to celebrate the end of war. Back then, they were known as 'Peace Babies'. The war was so unusual and horrific that it inspired people, especially soldiers, to write poems. They wanted to describe the war so that people at home could understand how it felt. They also wanted to make sure people never forgot. Laurence Binyon was an English poet. In 1914, he wrote 'For the Fallen'. He later travelled to France and helped wounded soldiers as a volunteer at a British hospital. 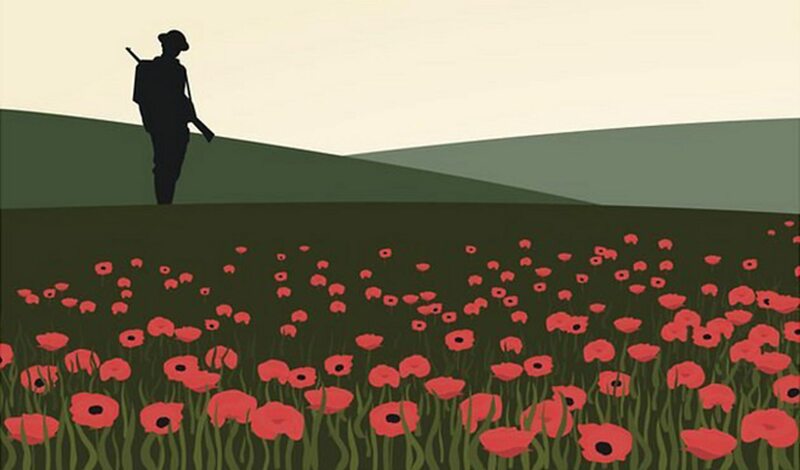 Watch and listen to 'For the Fallen' by Laurence Binyon. The poem's fourth verse is known as 'Ode of Remembrance'. It is often carved into monuments and spoken at remembrance services. Rupert Brooke was one of the first British war poets. He was patriotic and thought it was very important to do your duty for your country. His famous poem 'The Soldier' said, "If I should die, think only this of me: that there's some corner of a foreign field that is forever England". Whilst fighting he was bitten by a mosquito which caused an infection. He died in 1915. Siegfried Sassoon was another British soldier poet. He did not believe that war was necessary and thought it was wrong for humans to fight each other. When his friend died fighting beside him, he became angry and upset. He wrote in a poem called 'A Letter Home' that "war's a joke" and described it as "hell". Wilfred Owen was another war poet who agreed with Siegfried's feelings. 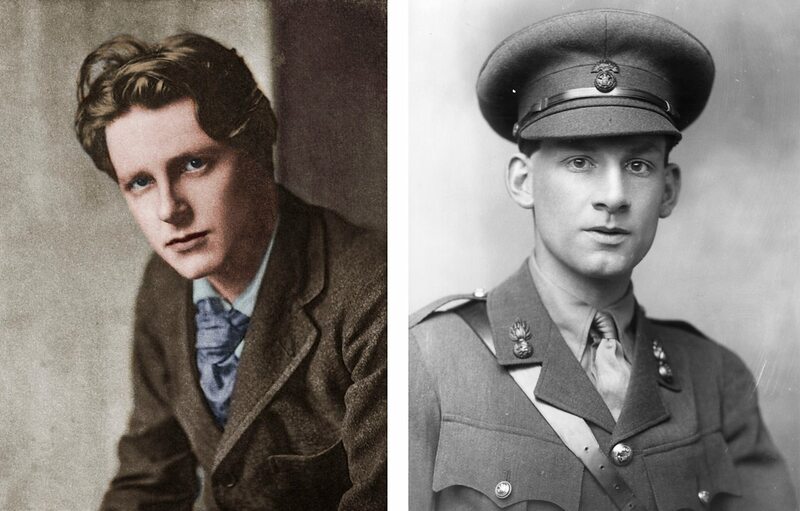 Left: Rupert Brooke. Right: Sigfried Sassoon. 'In Flanders Fields' by John McCrae was a famous wartime poem. It says, "We shall not sleep, though poppies grow in Flanders Fields". Many battles took place there. Soldiers got hurt and sometimes died, but the poppies still grew. A French woman called Madame Guerin liked the poem so much that she started to sell poppies for charity in America. 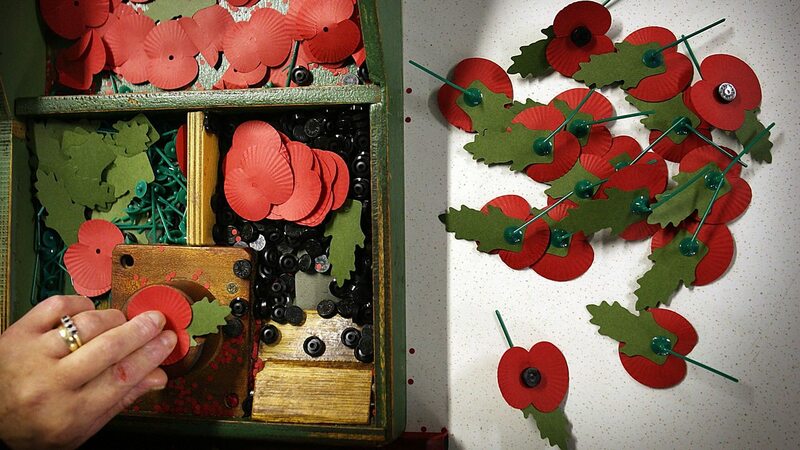 In Britain George Howson made a simple poppy design so that people who had been disabled by the war could make them. He said: "I do not think it can be a great success but it is worth trying". The poppy is still worn by millions of people every November. 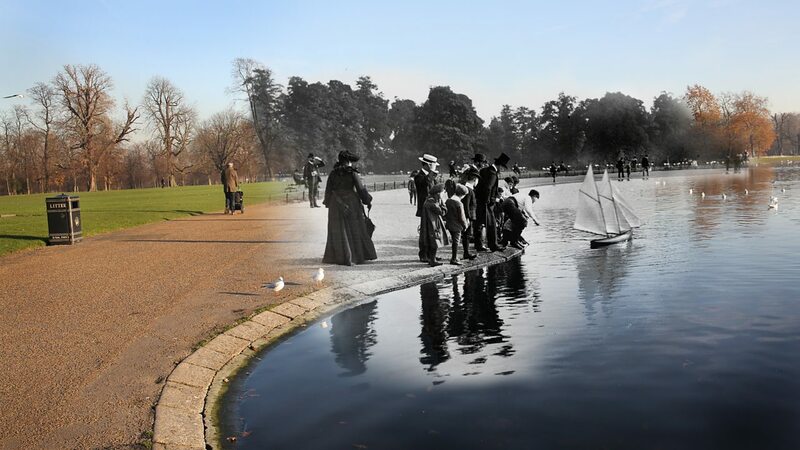 Then and now: how has life changed? 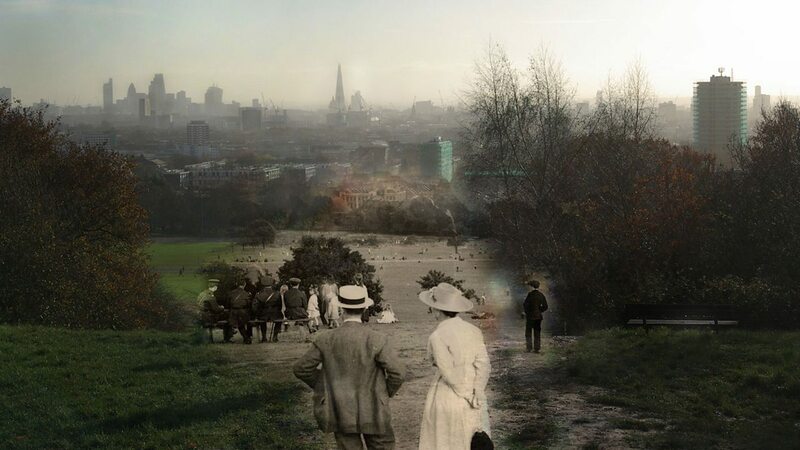 People in the early 1900s enjoyed the green open spaces of parks and countryside, as they do today. These children are sailing a model yacht. It’s before the war so their fathers are with them. 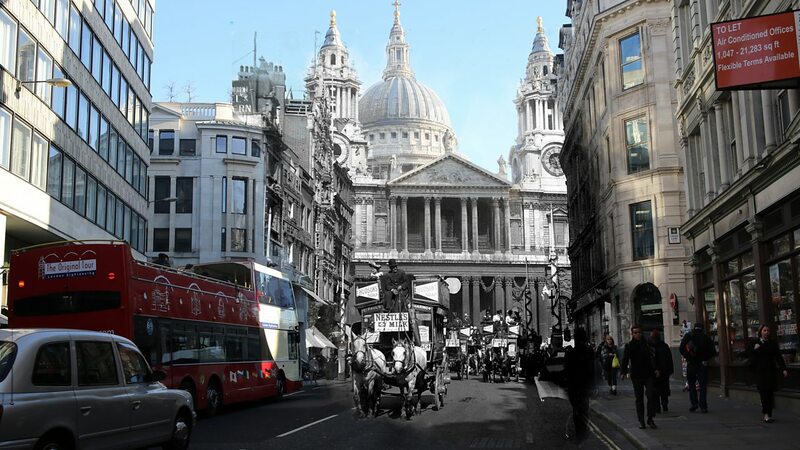 St Paul’s Cathedral has been part of London’s skyline for over 300 years, but the shops and businesses on the surrounding streets have mostly gone. Some buses on the capital’s roads are still open topped for sightseers, but they’re not pulled by horses these days. 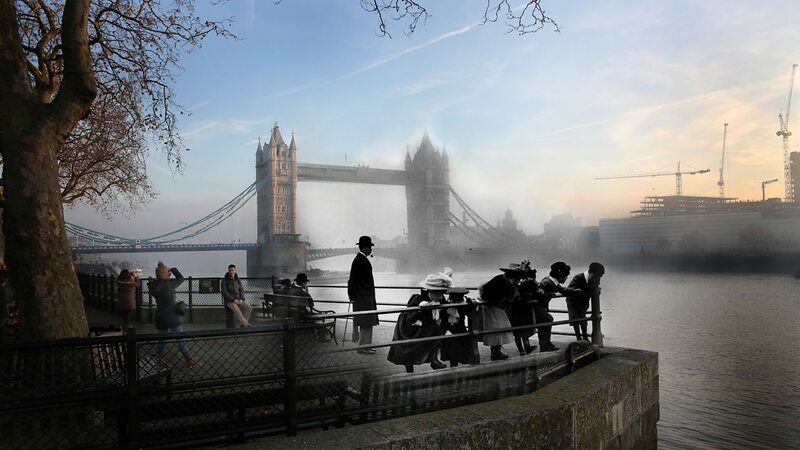 Finished 20 years before World War One, Tower Bridge is one of London’s iconic landmarks and is as much of an attraction for people today as it was over a century ago. Propaganda rallied all young men to join up and do their bit for King and Country. 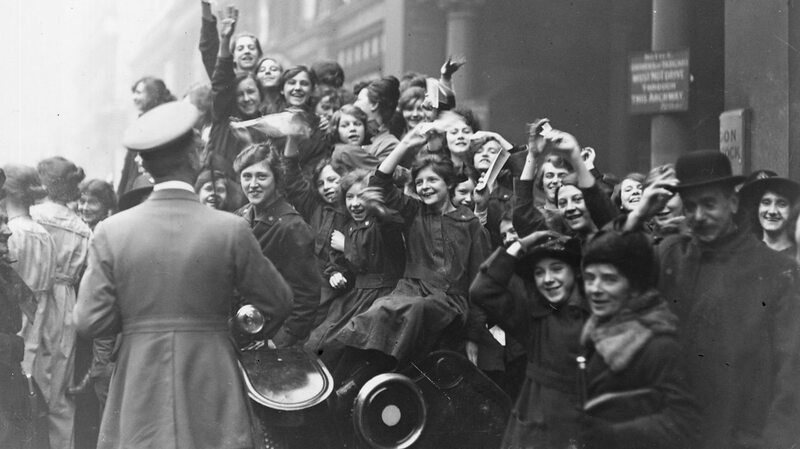 They queued along the street, determined not to miss out on ‘a great adventure’. Some men happily volunteered to sign up and fight, others felt pressured to enlist. 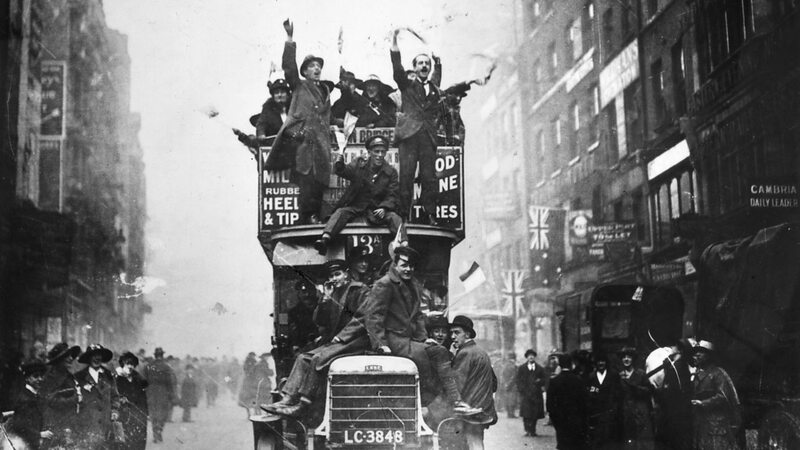 By September 1914, three quarters of a million men marched to war. 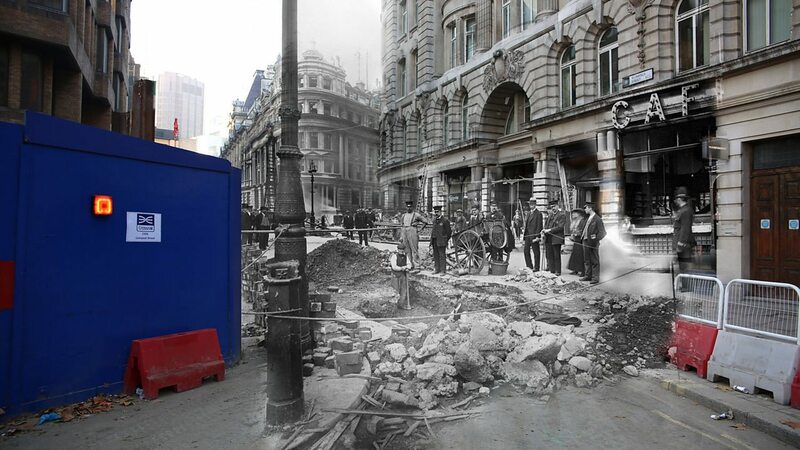 For the first time bombs fell on Britain. 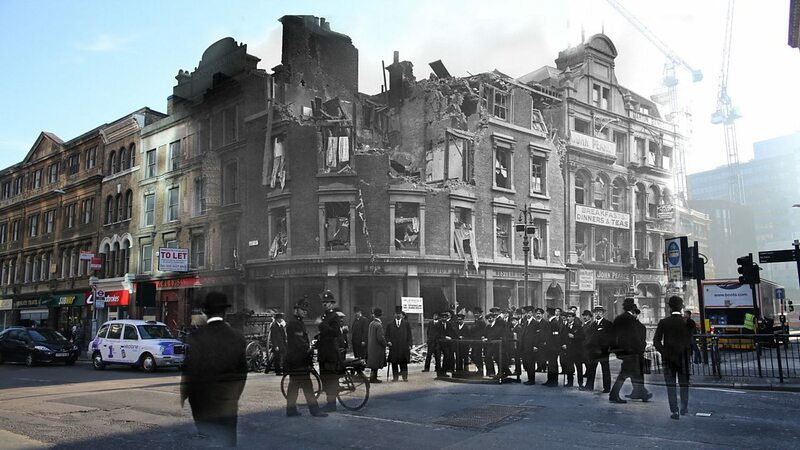 German bombers struck many major cities the length of the country, from Dover in the south to Edinburgh in Scotland. Although shaken by air raids, civilians on the home front pulled together to support soldiers fighting on the front. When the armistice finally came at 11 o'clock on 11 November 1918, the guns fell silent. 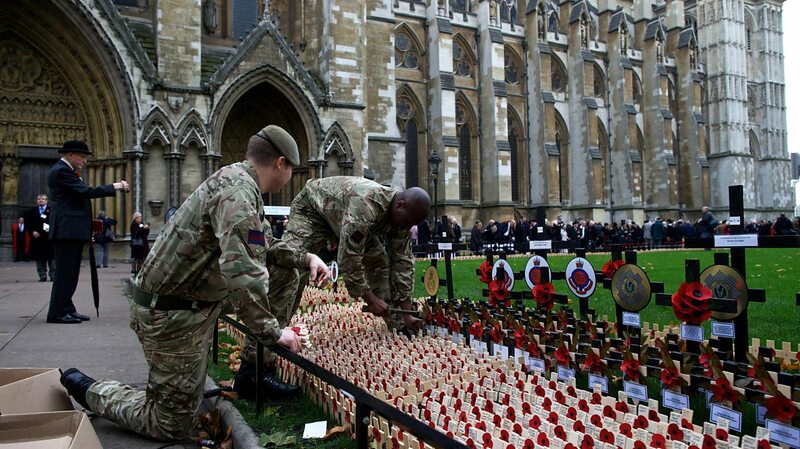 Every year, on the Sunday closest to 11 November, people wear poppies to remember those who died in the war. Photographs can tell us all kinds of things about people’s lives. They capture moments of history from years gone by. 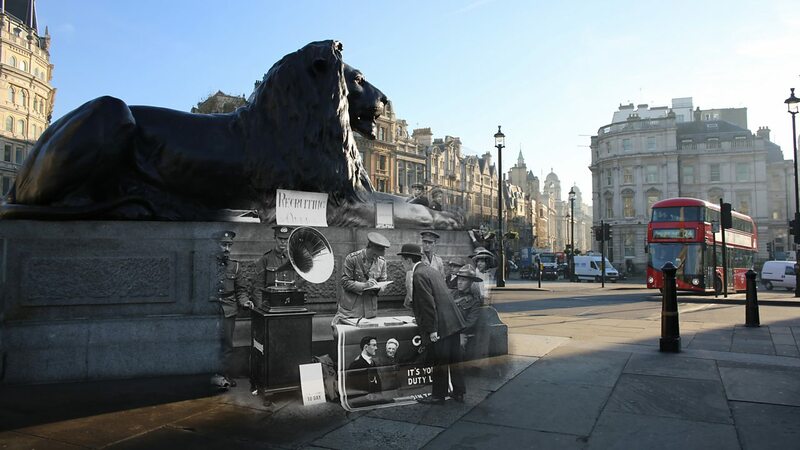 The pictures in our slideshow mix the modern day with life in the early 1900s. You can see that some things stay the same, other things are very different. How did the war end and what happened next? 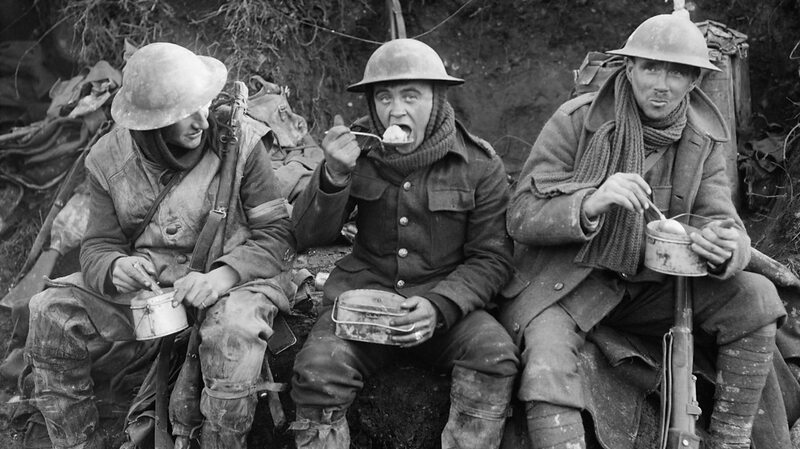 Quiz: What happened after World War One?